TD1508 is the FCC version of the TD1208, they are pin to pin compatible and based on the same SDK so converting an object working on a TD1208 sounds easy. Practically speaking there are some preparing steps because of some tiny bugs to solve. Let see how to port a Telecom Design existing firmware for TD1208 to TD1508 (from ETSI to FCC). Measuring a pulse duration in a pulse train was my last week headache with the TD1208 and the not so well documented EFM32. Basically, my objective was to activate a timer on a pulse train to measure the duration of the pulse. This duration was measured about 100uS and occurred at 1 Hz. My choice was to rise an interrupt on each signal front (raising and falling) and measure the duration between the two first interrupt call. Some reset function ensure we are measuring the low state duration (100uS) not the high state duration (1s). This part will not be described here. The purpose of this post is to describe the main hole I fallen in. Total programming time is about 5 seconds. The circuit between the segger connector and the TD is the following one. (do not forget to connect VDD circuit to Segger VTref. 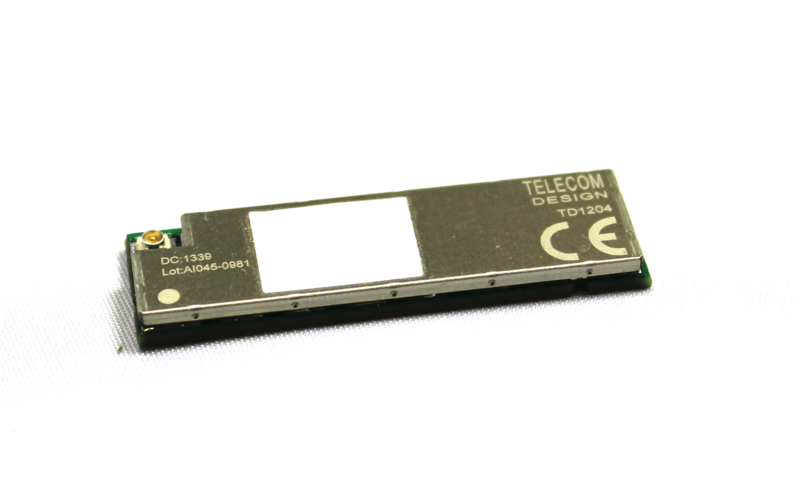 Telecom Design TD1204 have really limited number of GPIOs available even if it have many pins 🙁 … So you quickly have to use the DB2-DB3 pin that are usually used by SWD port. 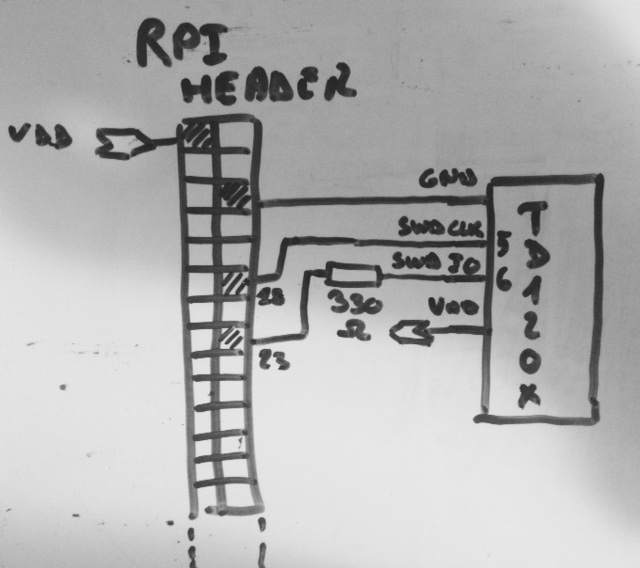 I previously write this post on how to use a BeagleBoneBlack as a JTAG (SWD) programmer. It was fun but really slow. 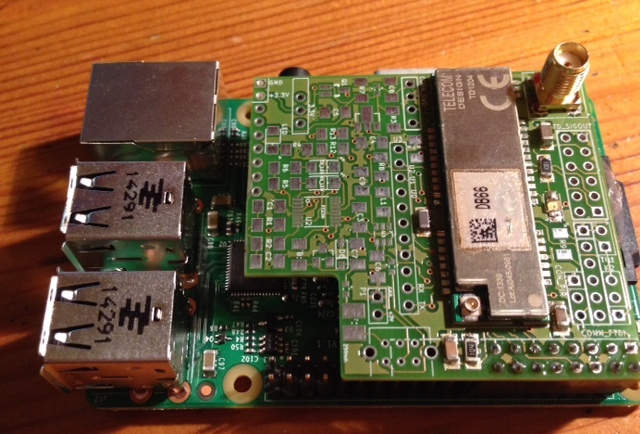 I port my code on RaspberryPI and now what was taken 5-8 hours is a couple of minutes. I hop it will be soon integrated in the main PySWD project as the previous one.